For those of you who don’t know, normally every weekend I update the Jakob’s Journal section of my site. Jakob is a priest at the Temple of the Seven Sisters in Aramas, a city in my novel Ashborne. Aramas is a rich city, founded on the coin of traders and catering to two warring nations. Jakob’s journey will take him through the second book of the series, where one of the characters discovers not only his journal pages, but the events he sets in motion to alter the course of history for some of the characters in that story. 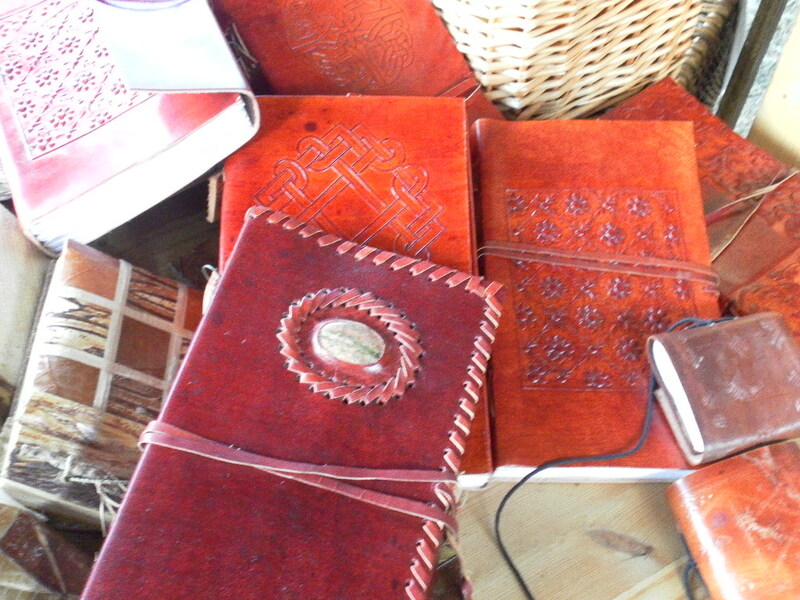 I write these journal updates weekly and try my best to post them by the end of the weekend. This past weekend, I wasn’t successful. We’ve been sick and I don’t have the mental energy at the moment to update the next entry. I hope that by the weekend, I’ll be back to my old self. Until then, I thought I’d throw out some questions about posting fiction to blogs. Do you normally post fiction or poetry to your blog? Do you find it difficult to maintain any type of schedule, or do you post whenever you feel like it? Previous Article My Smart Phone – greatest invention or waste of time? I do. I have a blog where I exclusively publish my fiction, http://aetherealengines.wordpress.com/ . I later setup an author’s blog where I talk about my creative process, thoughts and other things. It works well for me as a companion blog and place for my non-fiction. I started Aethereal Engines with the intent of publishing a serial novel to it with a new chapter every four to six weeks of three to five thousand words in length. I got two installments in before I put that plan on hiatus to pursue a new story that has become something special (and the novel I’m currently working on). I have every intent of finishing the original serial after I also publish the new story to the blog as well, but what I have learned is that I need to have an entire story written before I move to posting it up. Creating a good story sequentially, to a deadline and “on the fly” is a tall order. So much revision can happen between when you start and end a story that I prefer the idea of having the entire thing done beforehand. Currently I’m posting short, self-contained fiction created between work on my novel onto the blog whenever I have something to share. When I start to post the novels up in chapter segments again, I’ll probably do so on a set schedule of a chapter every week or two. I checked out both of your blogs and I’m so happy you posted them! I’m definitely a fan =). Love your writing style and, more than that, love your views, especially on women characters in fantasy realms. I like how you split your blogs apart. I considered having two separate blogs, but decided I was so technologically challenged, one blog kept me busy enough. Your comments about having a complete story resonate with me. I think the only reason I’m able to post on Jakob’s Journal without that becoming a major issue is, I had already built the world in my novel, and I’m posting journal entries, snippets of a story tied together to make a bigger story. I can’t imagine posting entire chapters by the seat of my pants! Kudos to you for trying. Do you find posting a story whenever you want more rewarding than posting on a schedule? I think both have rewards, but haven’t decided which I prefer. Hi Cas! I’m glad that you like my writing, I’ve been working hard to improve it and your words really started my day on a positive footing! To answer your question on posting whenever vs. posting on a schedule; I would say each has pros and cons. Working against a deadline can often prompt me to produce more material, more quickly. But the quality suffers, mostly from a lack of time to edit and revise my work to meet the deadline. Also as I said before, stringing a long story together in sequential parts can get things jumbled and inconsistent, fast. Posting whenever, I can make sure everything has professional polish and consistency. As I always want to present the best work I can do to the world, this sits with me much better. I think that I could merge the two concepts in a manner where I could have the strengths of both; doing posts where each would be a stand alone short story or very short serial set in the same shared world. Doing things that way I think I could avoid the revision-continuity problem that began to hurt me so quickly with The Pool of Sacred Stars. Another thing that I will be doing differently in the future, when I release Osrydian’s Tomb to the wild, is that I will have the whole novel finished beforehand. My plan is to release a chapter weekly or bi-weekly on a very set and consistent schedule for free on the blog. I’ll also have the full book available for download at a modest price online from the start, for those who want to read the whole thing sooner or more conveniently on their Kindle.